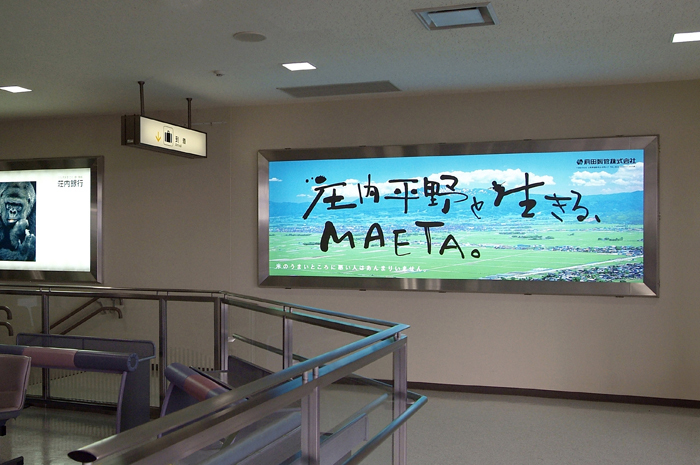 The arrivals lobby in the Shonai Airport is busy with travelers heading in different directions. 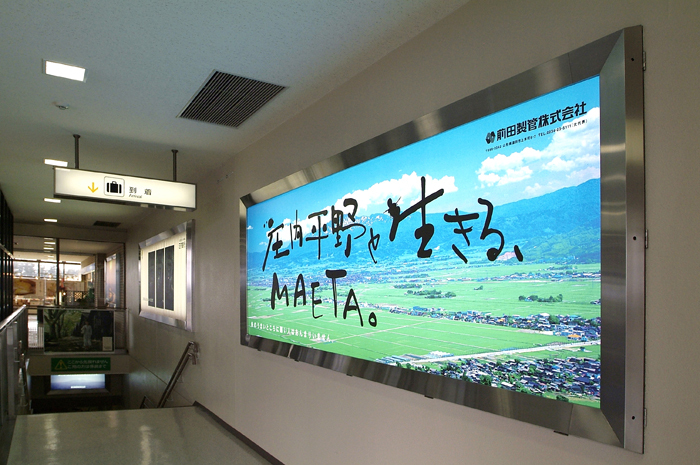 Some travelers are arriving in the Shonai region from Tokyo, while others wait to be flown to Tokyo. Scenes of returning travelers being welcomed home unfold continuously. Heartfelt wishes for ever-new journeys can be spotted at any moment. In this environment, the subtle nuances of the calligrapher’s brushwork work to impede advertisement’s typical attempts to command the attention of its audience. Here, the gentle characters seek to make a lasting impression on viewers by supporting the positive and life-affirming atmosphere of the airport.